peek >> << back1st St. south of K, June 2005. March 17, 2019 - The northeast corner of Half and L, with the Parc Riverside Phase II continuing. At right is the Velocity condo building. Considerable change is apparent on the southeast corner of Half and K, where the second phase of Toll Brothers' Parc Riverside apartment project dominates. A "study" released in 2016 showing what the phase 2 apartment building would look like along Half St. SE. May 12, 2006 - The busy northwest corner of the block, at Half and K, in May 2006. March 2007 - Square 699N's northeast corner, at 1st and K, in March 2007, just before demolition began. April 26, 2015 - The same location, long after demolition now with the Parc Riverside completed. Velocity is at left, and 1015 Half at right. April 2, 2015 - The pool, and its view. April 2, 2015 - The living room of the two-bedroom model apartment. April 2, 2015 - And the bedroom in the model unit. April 2, 2015 - The club room next to the ground-floor patio. April 2, 2015 - The mail room. April 2, 2015 - The gym. April 2, 2015 - Looking up. April 2, 2015 - Looking down. 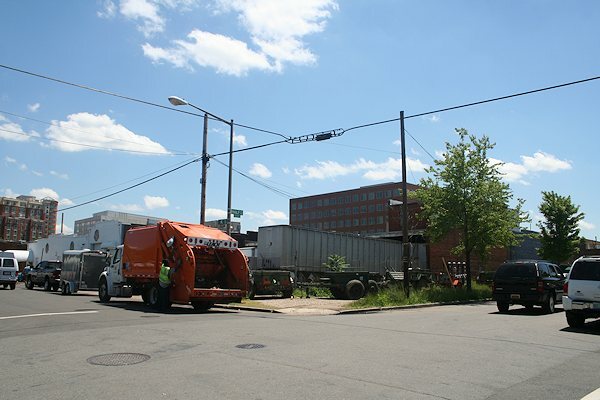 July 12, 2014 - In June 2014, a trailer materialized across 1st Street from the new building, and it was confirmed to be the eventual Parc Riverside sales trailer. Sept. 28, 2014 - ... And before long, signage also appeared on the fence by the trailer. However, when the project's name changed, the signage had to as well. June 28, 2007 - The southeast corner of Half and I, in 2007. March 17, 2019 - The same location, showing Parc Riverside now complete, along with the multiple additional buildings that have sprouted in the intervening years. April 2, 2007 - Looking at Square 699N, as seen from the top floor of 20 M Street in April 2007; the intersection of Half and L streets is at bottom. Demolition began on the block the day after this photo was taken. Velocity is now on the far right of the block; Toll Brothers owns the rest of the block, including the area where the blue buildings at front are. January 12, 2012 - Another look at Square 699N, this time from the northwest, in January 2012, showing the completed Velocity building, as well as the empty lots bought by Toll Brothers in 2012. 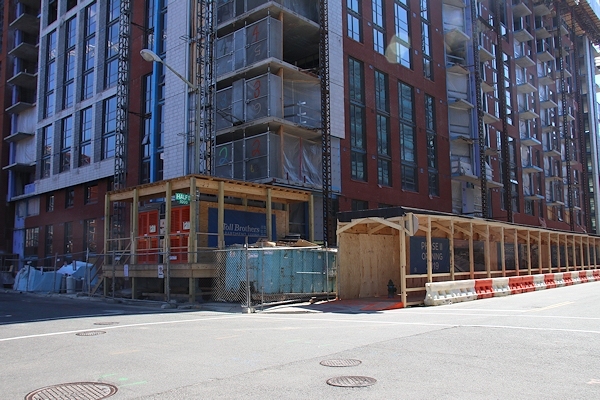 The Tetris-like boxes at ground level were caps to various vents and other infrastructure, because Cohen Companies built the underground garage for the northern half of the block at the same as it built Velocity, assuming they would soon start on their Phase 2 building. Instead, they sold it to Toll, who only needed to start construction on Parc Riverside at ground level. February 10, 2007 - The northeast corner of Half and L, in February 2007. This is the southern edge of the second Toll lot. March 31, 2007 - Businesses along 1st Street south of K (foreground), a few months after they closed, with the Capitol dome looming. June 2005 - The Wet nightclub on L Street, in June 2005. August 2003 - An old shot of the Edge nightclub, before a logo change, back in August 2003. August 2005 - A slightly less altruistic business ("In and Out" adult videos), on K Street. It closed in 2005. August 2004 - Club 55, on K Street.